Want An Adventurous Tour In Moshi? Scroll Down For Activity Details.. 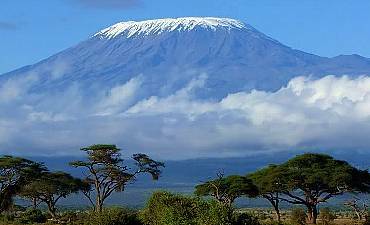 There is so much to sightsee and distinct things to do around Moshi that you could spend much of your Tanzania excursion vacation here. 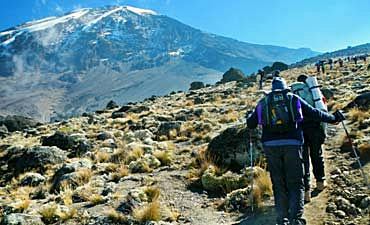 For starters, it is hiking the foothills of Kilimanjaro during the day or even multi-day treks to the summit - Uhuru. You could take long walks in the coffee and banana plantations or just spend time bird watching on the outskirts of the town area. Moshi town also has a bucolic bazaar where you can buy some pretty curios and mementos. 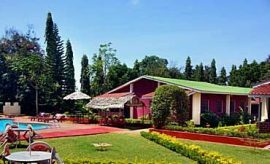 The rural “Coffee Shop” has covered tables in its garden, ideal for independent backpackers for an afternoon of hot coffee and conversation. There are also golf courses around where you can spend a morning playing a round. The Nyumba Ya Mungu Reservoir is a good place for sighting birds, and there are also fishing spots to interest you. Visit some of the most beautiful falls such as the Makoa and Uru Waterfalls. Also stop by at the Kikuletwa Hot Springs and enjoy a fun Tarzan-like dip in its crystal clear waters, perfect also to relax those sore muscles if you have just returned from an arduous climbing expedition. If you want take a picnic with a packed lunch, visit one of the lakes like the Chala and Duluti. At Lake Chala, you might chance to spot some crocodiles. If you visit the Njoro Rau Forest, you can sight the black and white colobus monkeys and stately Mvule trees. For an insight into the colonial culture of Moshi, you must go visit the Lutheran and Catholic cathedrals in Kibosho, around 9 miles (15 kilometers) away from town (read more on where to stay in Moshi during your AfricanMecca travels). Kibosho is also the site of the Kidia, the oldest church in Tanzania built by the German occupiers. Also, take the time to go on the Mamba Marangu and Machame Cultural Tours for a glimpse into the traditional way of living of the Chagga people. While you are there as a curious tourist, you might see a blacksmith creating a piece of spear art and other traditional iron tools like his ancestors have done centuries before him. 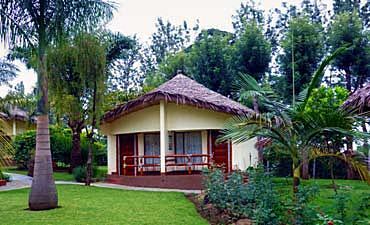 The above are only a sample of some of the best tourism places of interest to visit and experience around Moshi. 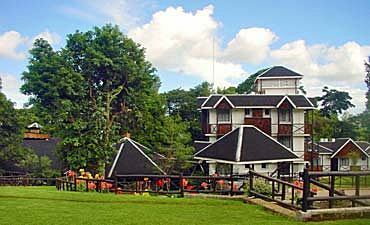 Moshi has a serene, tranquil rural ambience with Mount Kilimanjaro dominating its skyline. It is primarily the base town of the shining mountain. Moshi takes its name from the Kiswahili word for smoke.